In recent years, Western societies have experienced a fundamental transformation in the way crime is understood and dealt with. Against the backdrop of a current great interest in narratives in criminology, this book draws on a narrative perspective to explore this transformation. Drawing on data from Germany, the book focuses on changing narratives of youth crime in recent decades and the exact narratives that have been used, abandoned, invented or criticized in order to instil particular understandings of crime and measures to act against it. The author draws upon a wide range of sources including debates on youth crime in six parliaments from 1970 to 2012; articles on youth crime in four police and six social work journals from 1970 to 2009; and case studies with 15 young defendants who were interviewed before and after their trial and whose trial was researched using participant observation. In doing so, the author reconstructs narratives over several decades and, overall, reveals a fascinating and multifaceted scope of narratives of youth crime. This book will be of great interest to students and scholars of youth crime and justice, as well as criminology, sociology, politics and social work more broadly. "This book is unique. Dollinger draws on as different data as political debates, professional voices and the perspective of young offenders to show how crime can be narrated in many different ways. Studying this from 1970 and to date the main insight is still that narration is limited to some major "coalitions" and dominating stories, thus revealing both the creative potential and limitations of public storytelling. "Changing Narratives of Youth Crime" is an unusual and successful combination of theoretical insights and solid empirical analysis. I highly recommend this book to anyone interested in exploring the potential of narrative studies in criminology, or who are interested in contemporary and historical representations of crime in Europe." 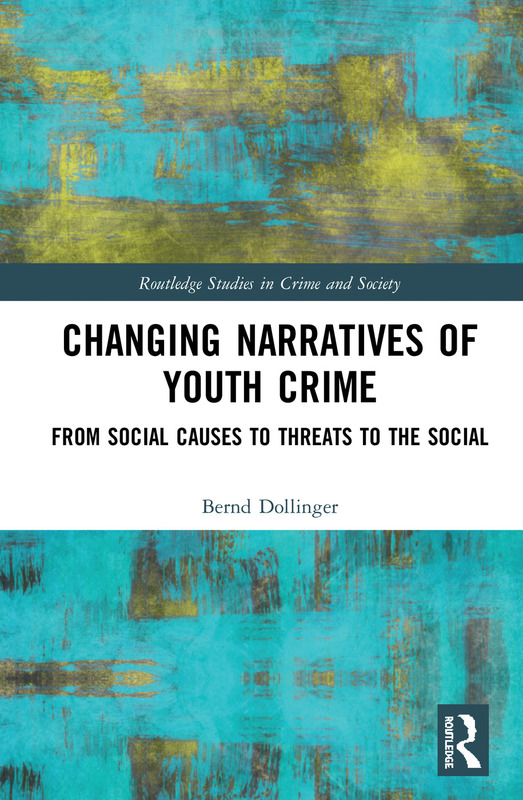 "Dollinger’s book Changing Narratives of Youth Crime: From Social Causes to Threats to the Social adds to a growing body of narrative criminology. Dollinger analyses individual, professional, and political narratives of youth crime in Germany over a period of more than 40 years to explore understanding of youth crime is narrated. It draws on parliamentary debates, academic articles on youth crime in Social Work and Police studies, and interviews with young people who offend and observations of their trials. The book adds to our understanding of how youth crime is discussed in a number of domains and what this might mean for youth justice police and the treatment of young people who offend. Additionally, it offers a real test of the value of narrative analyses and their role policy development. This is a fascinating account of changing and diverse narratives of youth crime which should have great appeal to anyone with an interested in narrative and cultural theory, criminal justice and penal policy, and youth crime." Bernd Dollinger is professor of pedagogy and social work at the University of Siegen, Germany. Youth crime is his long-standing focus of research. Bernd’s special research interests relate to drug use, criminal policy, professionalism in dealing with juvenile delinquency and processes of identity negotiation of youths. He has published extensively on juvenile delinquency. His publications includes handbooks, textbooks and numerous research papers. Most recently, he has been particularly interested in reconstructing measures against crime 'from below', as it were, from the often neglected perspective of the defendants and convicts. They in particular have a lot to tell, and their stories are individually linked to cultural crime discourses.